There’s more to Indian cuisine in Vancouver than Vij’s. Here are the city’s finest Indian joints. If you didn’t guess it from the name, this spot is known for its chutneys, including quirky varieties like coconut and pear-banana. They go particularly well with the Ocean Wise seafood choices, including our fave, the cod molee. 147 East Broadway, 604-872-2228. This vegan eatery serves up a tasty tabling of healthy world foods, but is run by an Indian family and specializes in dishes from their homeland. Grab a Pakopati (pakoras chapati wrap) and don’t bypass the selection of wheat-, dairy- and guilt-free sweets. 1105 Commercial Dr., 604-253-0969. This international chain exports flavours straight from its locations in South India. Try some two-dozen dishes off the all-vegetarian menu at the buffet, or just order the rich paneer butter masala and a couple of dosas. 955 West Broadway, 604-732-7700. 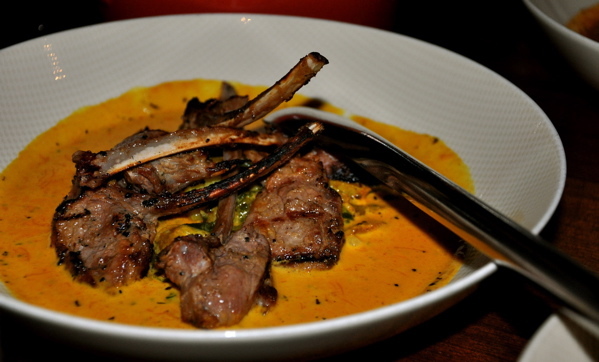 Visit this swank spot for Bollywood elegance and traditional cooking. Our fave dishes out of the charcoal-fired clay oven include juicy chicken chettinad and velvety lamb palak. 1643 West Broadway, 604-742-0622. This internationally-celebrated kitchen creates contemporary Indian dishes using the best of B.C. Try the local spot prawns and halibut with black chickpeas in coconut-lemon curry, or the revolutionary lamb lollypops, and you will surely agree with The New York Times columnist Mark Bittman’s diagnosis: that Vij’s is “among the finest Indian restaurants in the world.” (You didn’t really expect us to leave it out, did you?) 1480 West 11th Ave., 604-736-6664.